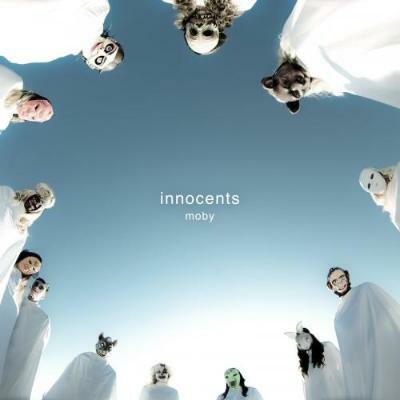 So with Moby, I could have chosen any album. I think that with artists, real artists, we all think that we're doing a different album or film every time. By the end of your life, when you look from a distance, if you're, say, The Beatles, Christopher Nolan, Arthur C. Clarke, Francis Bacon or Stanley Kubrick, they are all telling you the same thing. I see artists always trying to do the same things to get closer to the ideal album or songs that they have in mind. And Moby is exactly like that - with every album, it seems that he's getting closer to an ideal record. I used to call him the Woody Allen of techno. He has this quite joyful way of building melodies and behind that he's got darker melancholia. That's what I like in any kind of art form. Oxygène is like that, for instance - it's both happy and dark. Even the cover art is like that, with a skull inside Planet Earth. Moby is actually a neo-punk, a poet, a fantastic songwriter; he has a vision and for me he's a true modern artist. Innocents is a great album and maybe it's not his most popular, because you hear about a record that's hyped a lot and others get less attention, [but] this is one of my favourite albums in recent years.